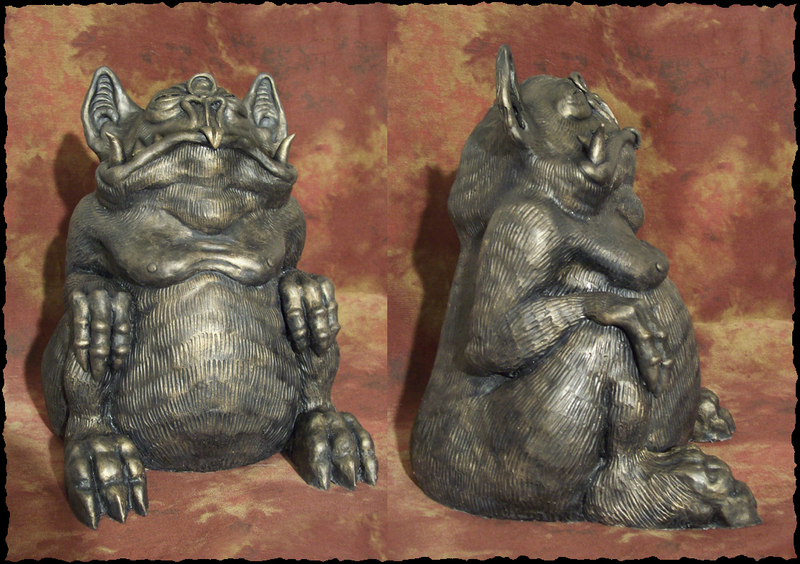 Ever consider getting your on Tsathoggua Idol? I didnt think I would be promoting religion on this blog, even fictional ones, but Wednesday's entry on using Clark Ashton Smith's deity Tsathoggua as a basis for the God of the Temple of the Frog made me do some random googling of the deity and this is what I came up with. 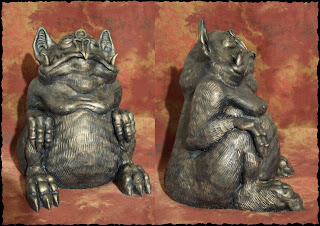 A guy named Richard Svensson has made this wonderful idol model of Tsathoggua hich he posted pictures of over at elfwood. I don't think it is for sale, but who knows? Would be nice on anyone's mantle piece? I have to say that I've never been a fan of the more bat-like interpretations of Tsathoggua. Clark Ashton Smith just as often describes him as looking like a sloth, and more often than that simply a furry blob that can protrude a frog-like head. That would be harder to make a statue for though, and the one above is excellently made and a little creepy, despite my bias against it.